This week, we’re sharing a very special edition of our Real Weddings. 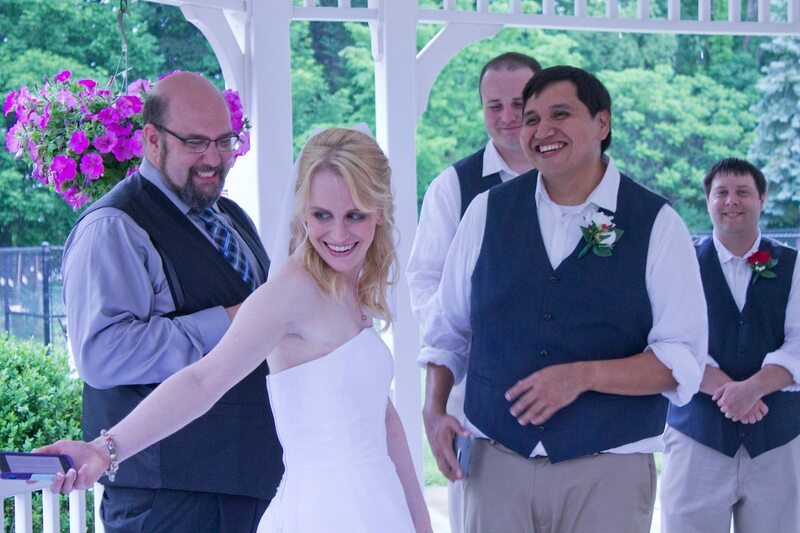 We recently got to celebrate the wedding of one of our own! 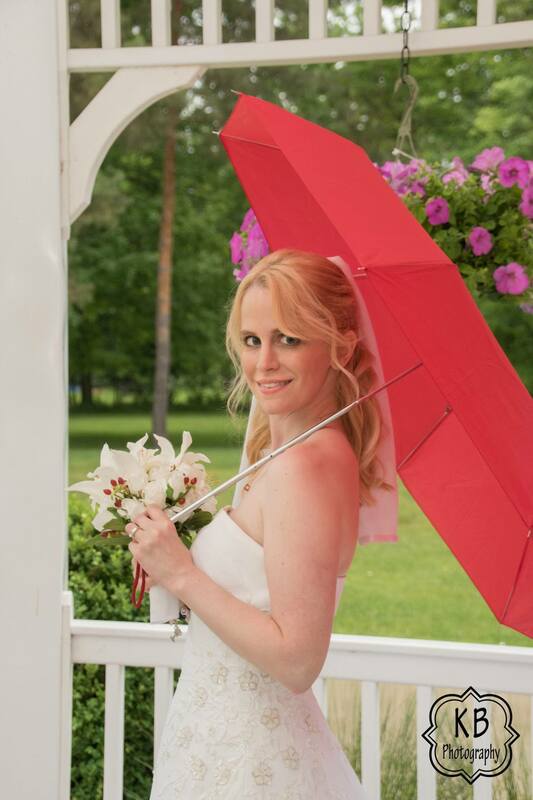 Rebecca has been with World Digital Imaging for three years now, and we were all very excited that she finally got to tie the knot with her best friend (and now husband!) Al. The two were married in a very intimate ceremony with family and friends in the bride’s home town. 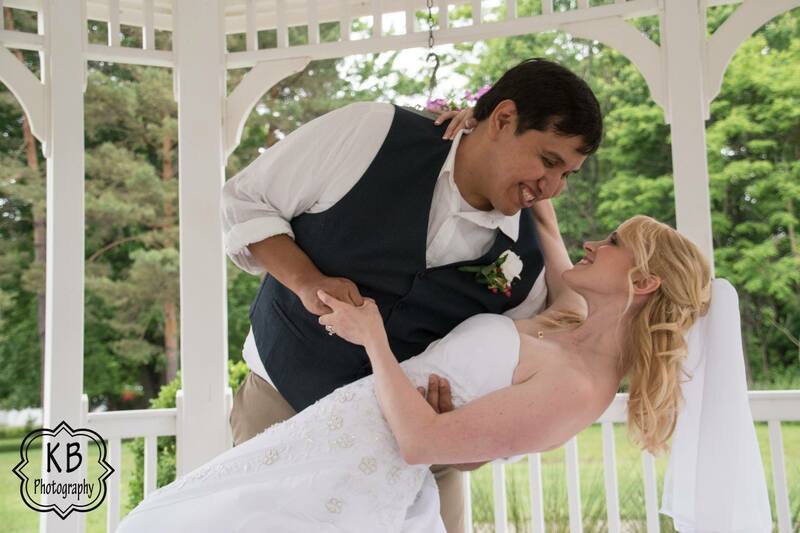 They kept it classy with many traditional elements, such as the beautiful park gazebo where they said their vows and the sit-down dinner reception at a nearby hotel. But hidden among the traditional were subtle hints of their shared passions – including the Legend of Zelda, Pokemon, Harry Potter, Comic Book Superheroes, and various board and video games. 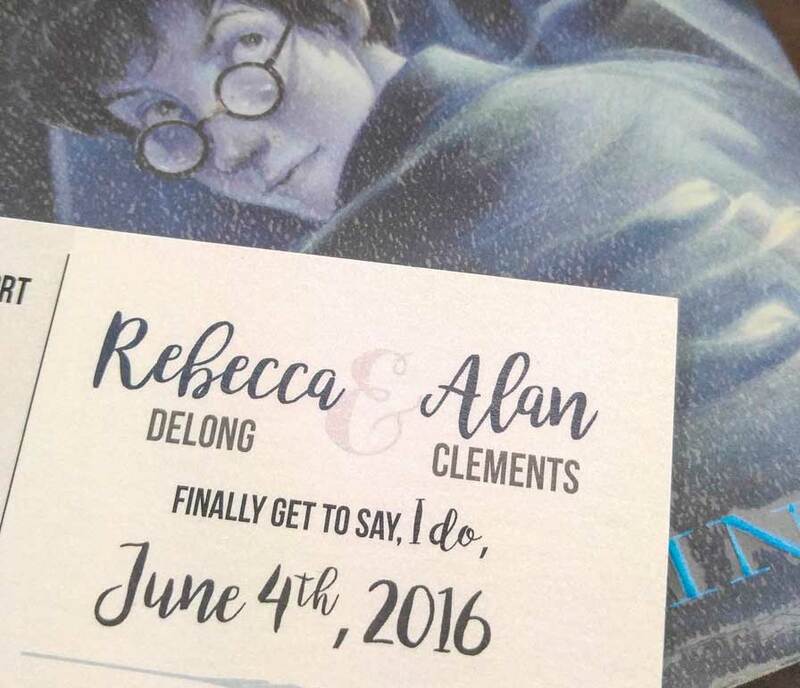 Both Rebecca and Al are Harry Potter fans, and wanted their wedding invitations to reflect their fun-loving, nerdy obsessions. 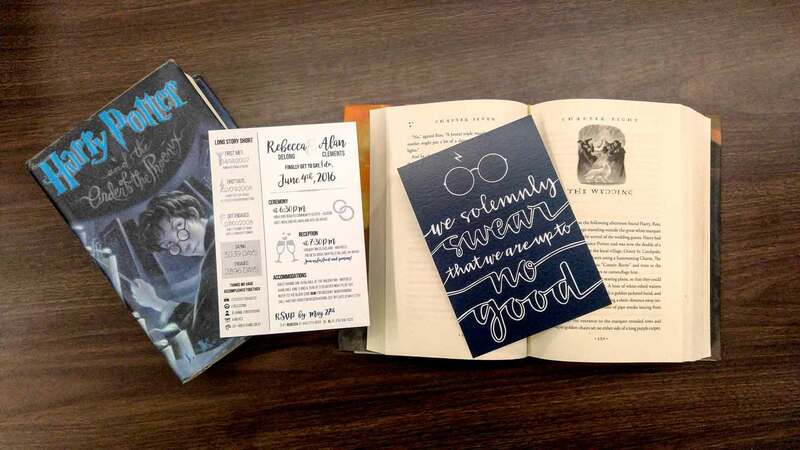 So Rebecca took the iconic phrase that unlocks the Marauder’s Map along with Harry’s signature lighting-bolt scar and glasses and used them to create a fun background for the invitations. 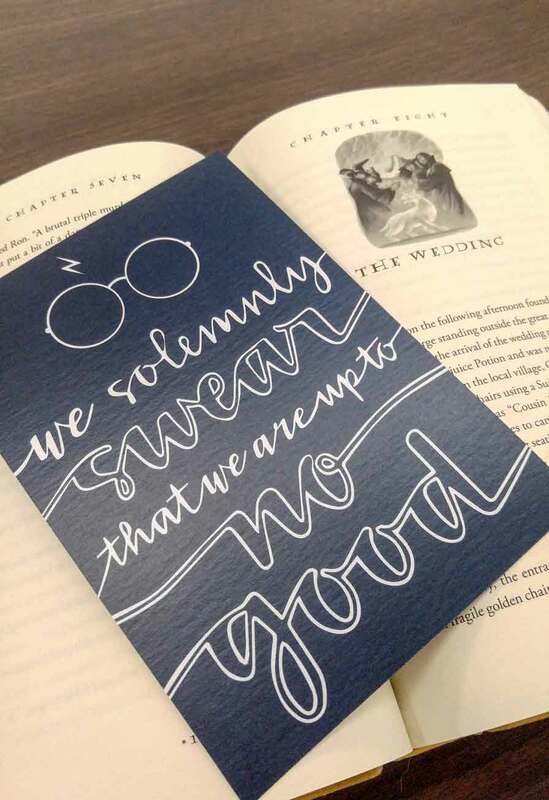 That’s right, the bride designed these invitations herself! The front side included an infographic-style look that included all of the important details and some fun-facts about the couple. Up close, you can see the little bit of shimmer. Of course a designer bride must have beautiful paper! This is a Stardream White cardstock that we had used for a previous wedding, and we thought would work perfectly and add just that bit of magic to Rebecca and Al’s wedding invitations. 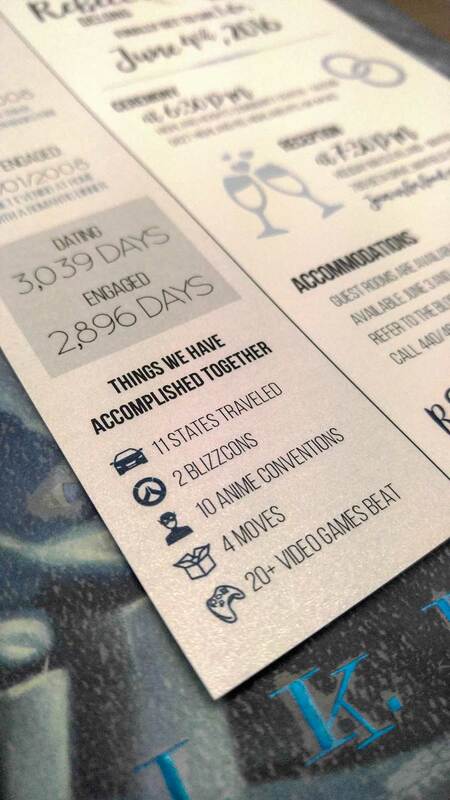 We love this little detail on their infographic-style wedding invitations: the things they’ve accomplished together! It’s a cute detail that makes this design both unique and personalized just for Rebecca and Al. 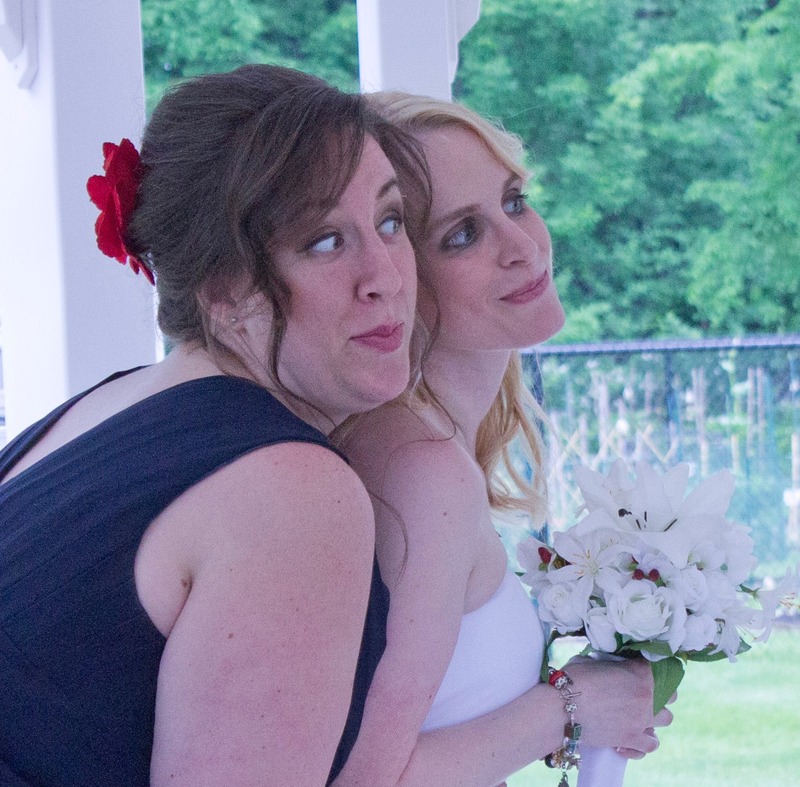 Designers Danielle and Rebecca share a moment in between photos. Rebecca and Al’s wedding was full of love and laughter, and very much an expression of the strong but fun-loving relationship they share. So please help us to congratulate Rebecca and Al on their wedding, and we wish them many years of love and laughter together!